home Gossip What is Graphene ? Graphene is pure carbon that conducts heat and electricity in great efficiency. It is in the form of very thin, nearly transparent, one atom thick which is nearly 100 times stronger than steel and is very low in weight. Graphene is carbon-based flexible capacitive material with its biodegradable feature which one of the today’s necessity. It is made up of Graphite, which we can usually find in no.2 pencil. Technically, graphene is a crystalline allotrope of carbon with two-dimensional. As it is, virtually two-dimensional it interacts oddly with light and other materials. Carbon atoms are densely packed in a regular sp2-bonded atomic-scale chicken wire (hexagonal) pattern. It is basic structural element of other allotropes, charcoal, carbon nanotubes and fullerenes, including graphite. It can also be considered as an indefinitely large aromatic molecule, the limiting case of the family of flat polycyclic aromatic hydro carbons. The two basic approaches to produce graphene are to cleave multi-layer graphite into single layers or to grow it epitaxially by depositing one layer of carbon onto another material. The graphite must then be bonded to some substrate to retain its 2d shape. As well as, other techniques are also developed. Andre Geim and Konstantin Novoselov at the University of Manchester for groundbreaking experiments regarding the two-dimensional material grapheme won the Nobel Prize in Physics in 2010. Along with this Nobel Prize in physics, they have won several awards for their research on graphene. Graphene, is that research which can cause an amazing changes in technological world. It is considered as an emerging material which could change the way of producing electronic materials and help in growth of performance. Till now graphene has not been used in commercial application. But the use of grapheme has been proposed or are in under development, in areas like filtration, lightweight/strong composite materials, photovoltaics, biological engineering and energy storage including electronic areas. Graphene is produced in the form of powder and as dispersion in a polymer matrix, or adhesive, elastomer, oil and aqueous and non-aqueous solutions. Manufacturers use graphene produced as a dispersion for lubricants, capacitors and batteries, paints and coatings, display materials and packaging, advanced composites, inks and 3D-printer’s material and films. It serve as a touch sensitive coating, which also could be used for boosting up the internet speed and as well as for extending the lives of computers. As it is better conductor of electricity and heat than any other material, this will surely play an important role for many inventions, technologies and for various products in future. Solar Cells: Grephene’s layers of electrons overlaps which helps to jump the electrons between layers as it needs less light energy. With the use of grapheme solar cells will be of hundreds of thousands of times thinner and lighter than those with the use of silicon. Transistors: Basically, transistors are used in computer chips. With the use of graphene, transistor can be of thinnest possible size to few atoms or less. It will also give rise to speedy flow of electrons. Transparent screens: Manufacturers of device like plasma TVs and phones are seeking for the alternative in place of indium tin oxide which will have better conductivity, flexibility, transparency and will also cost less. As graphene is non-reflective, very transparent, very stong and thin that will be the better option for those manufactures. 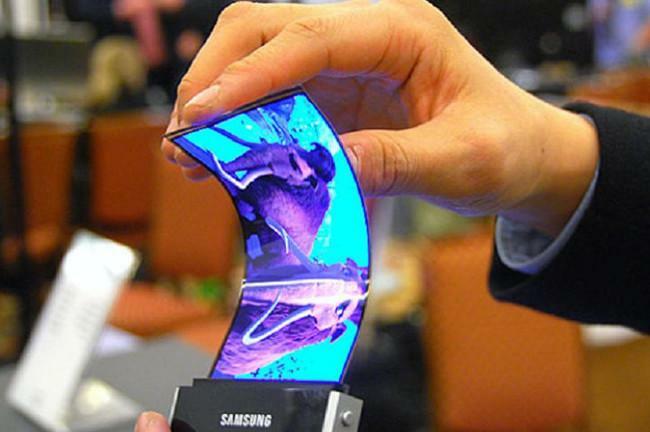 Grephene is of an amazing bendable quality, which can be bend without breaking and that will be very useful in bendable electronic devices. Graphene can be used as graphene filter covered in tiny holes which will be just enough to let water through and small eough to keep salt out, making salt water safe for consumption. With the use of graphene, one can charge up their phone by plugging in for five seconds. Graphene can also be used for gaming purpose like in tennis, which improve the game by putting the weight where it’s more useful i.e. in the head and the grip. Graphene can also be used for clumping together radioactive waste. With the use of graphene, touchscreens of various devices could be covered/attached onto plastic rather than glass which prevents touchscreens from beaking down, as they describes super thin and unbreakable touchscreens. Use of batteries could be end, as high-power graphene supercapacitors are beneficial to replace them. Graphene could help in speeding up the process, as mega-fast upload whole terabit can be processed in just a second. Graphene could also be used in health related purpose, as they could pave the way for bonic devices in living tissues that could be connected directly to your neurons. That is more useful for spinal injuries, also people could re-learn how to use their limbs. As per the sources, recently some scientists at UC Berkeley showed that with the single sheet of graphene could produce headphones that have a frequency response comparable to a pair of Sennheisers. Graphene could also be used as a chief material to compose Smartphones of future. Graphene can also be used as sensor to diagnose disease. That sensor is formed by attaching fluorescent molecules to single strand DNA and then attaching the DNA to graphene. We can see that there are lots of amazing uses of Graphene which will give us a better efficient uses of various electronic as well as other devices which are necessity of every human. Grephene have a potential future in next generation’s markets. Graphene will be that technology which will give the reason for people to use various useful devices as they will be economical, efficient and effective to use them very conveniently.